* Play the jockey and ride around the world at over 50 racecourses! * UK, North American and Australian game mode. Flat and Jumps racing options. * Study the fields past performances and pick one of the ride offers. * Get the tactics right and time your challenge just right for a Jockey Rush boost! * Beat the trainers estimated finishing position for a reputation boost. * Ride in hundreds of feature races from around the world. * Unique BATTLE MODE. Resort to PUNCHING and KICKING your opponents off their mounts! * Oculus Rift support (race sequence only)! 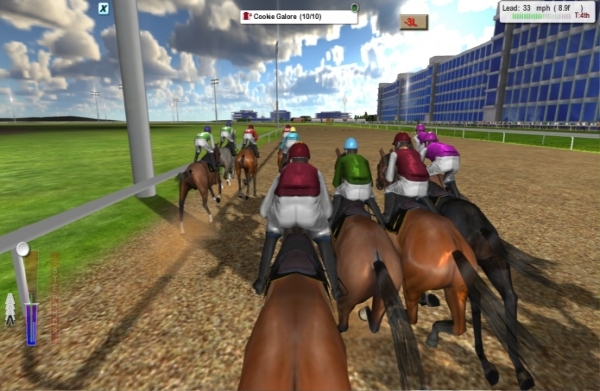 * Race engine from the leading Horse Racing Management game Starters Orders 6 for realistic races. * £14.99 on the PC. Site by Strategic Designs Ltd.